Our airport transfers to La Tania will take you straight into the heart of the resort and take little more than two hours from either Geneva or Lyon when the roads are clear. Transfers start from 42.50€ per person from Geneva so simply fill out our Quick Quote calculator to find out more. In the meantime, we're proud to say that Three Vallee Transfers (3vt) have been offering airport transfers from Geneva, Lyon, Chambery and Grenoble Airports for the past twelve years. 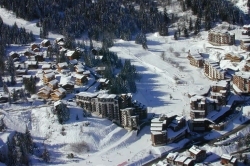 We specialise in the resort of La Tania but also travel to Meribel, Mottaret, Val Thorens, Les Menuires and Courchevel. We also carry out ski transfers from Moutiers Station liaising with the Eurostar from London and TGV from Paris. We supply private, door-to-door transfers to La Tania from as little as 37.50€ per person, seven days a week throughout the year. Our fleet comprises of 13 Volkswagen Caravelle 4x4 minibuses, three Renault Trafic minibuses primarily used in our shared service, the smaller Skoda Octavia Scout 4x4, a Land Rover Discovery and Defender 110, the majority of which are brand new each winter. All can be seen by clicking here. More information about La Tania. 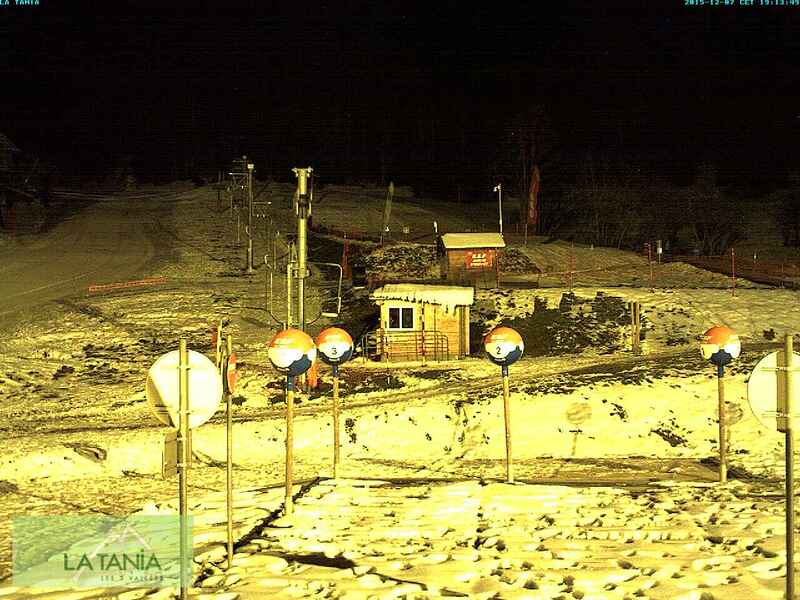 We've also live pictures of the centre of resort with thanks to the La Tania Tourist Office. La Tania lies at a height of 1400m and was officially opened on 22nd December 1990 on the back of the 1992 Winter Olympics. It was used to house the ice hockey players and journalists but now La Tania has grown into a resort in its own right. La Tania is linked to the largest linked ski area in the world: les Trois Vallees, with 600 kilometres of prepared and maintained pistes. The magnificent scenery stretches from the Mont Blanc massif in the north to the Les Ecrins massif in the south. After a few hours on your skis and you'll reach the summit of the the Trois Vallées massif, the Pointe de Thorens (3266 m) at Val Thorens. The village is pedestrianised and is therefore great for children. 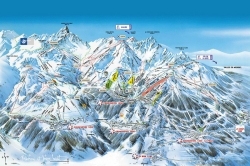 There're all the facilities required from ski hire shops to restaurants and bars. There is live music most nights somewhere in the resort along with aprés-ski happy hours and theme night parties taking place throughout the ski season. If you're curious as to know what's happening in La Tania as we speak then have a look at the following Twitter feed. If you want to keep up with all of our latest offers then why not follow us at @3vtweet? Take a few minutes to have a look at the following video of last season in the resort with thanks to www.latania.co.uk and the resort's most favourite band Bring Your Sisters. It's a fantastic place to stay and if you're looking for self-catered accommodation then look no further than our sister company Apartments in La Tania. Alternatively, there are many chalet companies offering holidays via our links page.